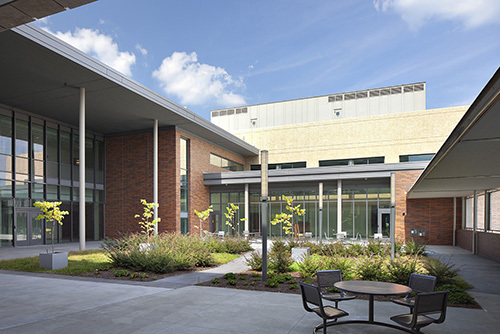 Cherry Hospital in Goldsboro, NC was the second in a series of three modern psychiatric hospitals designed for the State of North Carolina to replace old facilities and mark a new era in the treatment of mental disorders. On all three, Surface 678 teamed with Freelon (now Perkins + Will) to plan and design gardens and landscapes that support treatment functions and visitor experience. The design of the 312-bed facility in Goldsboro uses the treatment mall model to separate rehabilitation environments and administrative functions. A series of interior courtyards respond to treatment areas and other internal functions. 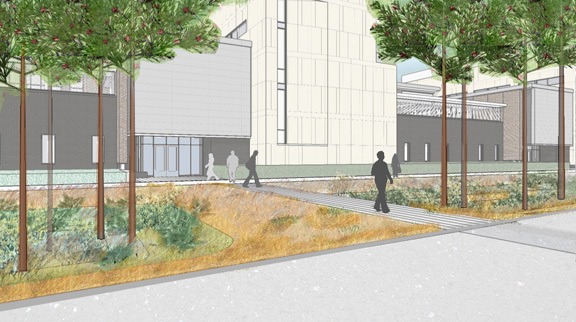 Stormwater and landscape are intertwined throughout the 170-acre site. 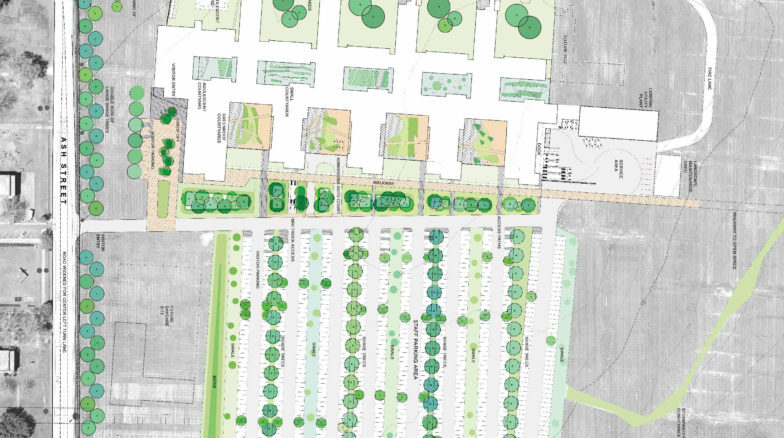 A series of linear bioswales forms the landscape and wayfinding framework within parking areas by arranging main pedestrianways in linear green spaces leading to the hospital. The dominant gesture of the landscape is the landscaped building forecourt. This feature, patterned after a native eastern North Carolina lowland known as “pocosin”, provides storage for rooftop drainage while enhancing the pedestrian experience.